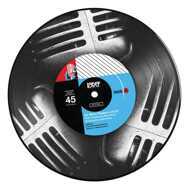 2017 Reissue as Picture Disc Vinyl Edition! Rare & sought after track from INI’s RobO, produced & featuring PeteRock (Prod & Recorded during his Soul Survivor era)! 45 jacket and label artwork designed by Joseph Buckingham (DeLaSoul, Staple, etc)!